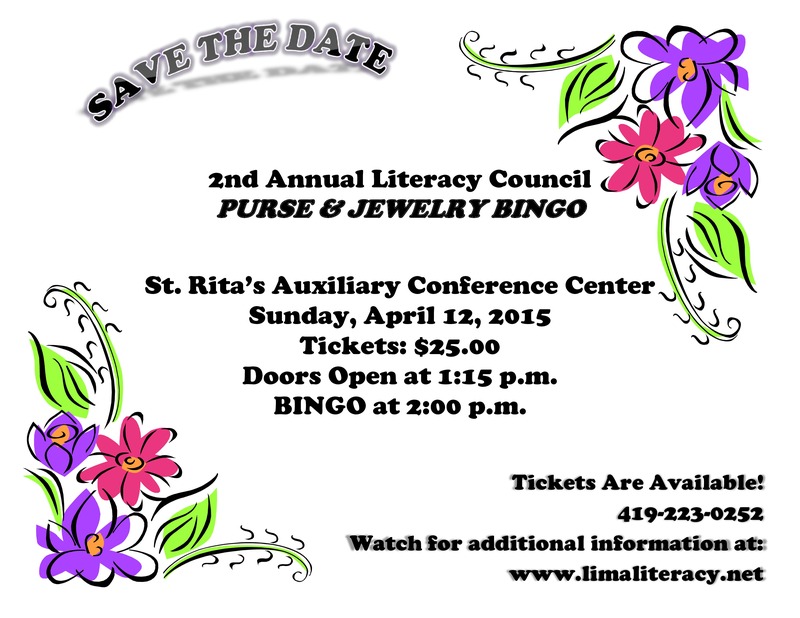 Register for your spot at our 2nd Annual Purse and Jewelry Bingo! I'll mail a check to The Literacy Council, 563 W. Spring St. Lima, OH 45801. We'll hold your tickets at the door. I'll pay in person and pick up my tickets at The Literacy Council.